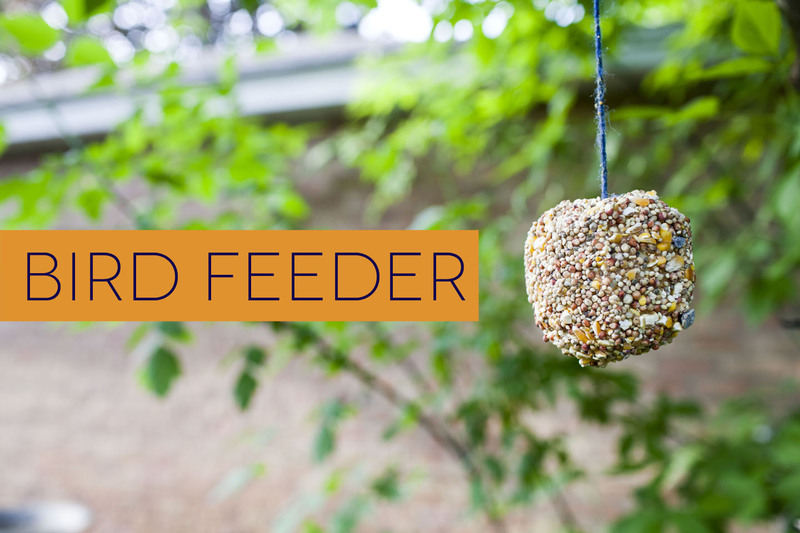 Milo and I like to feed the birds and sometimes make them an occasional treat. So we put together this bird feeder, all with things we had around the house. Peel your apple. Tie string around your nail and secure it into the top of your apple. Cover your apple generously with peanut butter. Roll the apple in bird seed, and make sure its covered well. Hang from a tree. Sit back and watch the birds go to town! Wow. 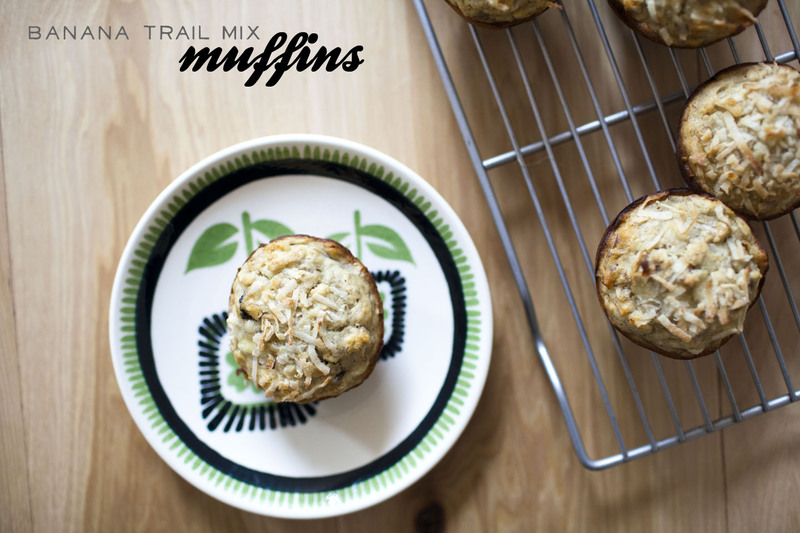 These muffins are some of the best I have ever made. They are super easy to customize to your liking – you and mix and match all kinds of ways. And without any added refined sugar, they are pretty healthy too! Preheat oven to 375°F. Grease a muffin tin. In a separate, medium bowl, whisk together the coconut oil, mashed banana, honey, egg replacer and vanilla. 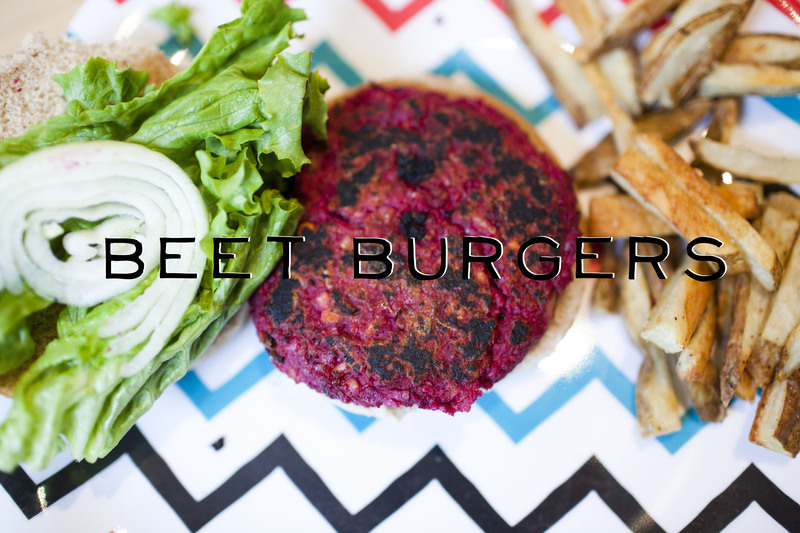 I have a current obession with beets. I usually just juice them, but I am trying to find other ways to incorporate them into our diet. They used to taste like dirt to me, but now I find myself craving them and they can sometimes taste pretty sweet. I’m definitely a convert. This recipe made about 5 burgers and we topped them with avocado, lettuce and onion. They were really really tasty! Peel beets and shred with the shredder attachment of your food processor, then set aside. Change the attachment to a metal blade. Pulse the brown rice, shredded beets and lentils about 15 to 20 times, until the mixture comes together, but still has texture. Preheat a cast iron pan over medium-high. Now form the patties. Each patty will be a heaping 1/2 cup of mixture. Shape them into burgers with your hands. When I saw this tutorial, I knew I would be making this yeti! It was fairly easy to do, and I finished it in about two hours or so. Most of the sewing is by hand – and I even tried to learn a few of the stitches…. You will need to know blanket stitch, (successful, but was a little messy with it) whip stitch and ladder stitch (still need help with that one!). I watched short tutorials on you tube that showed me how to do them. I love this little guy! Usually when I make plushies, I gift them, but I just don’t think I can part with this guy. Even milo tried to claim him, but I just can’t do it. 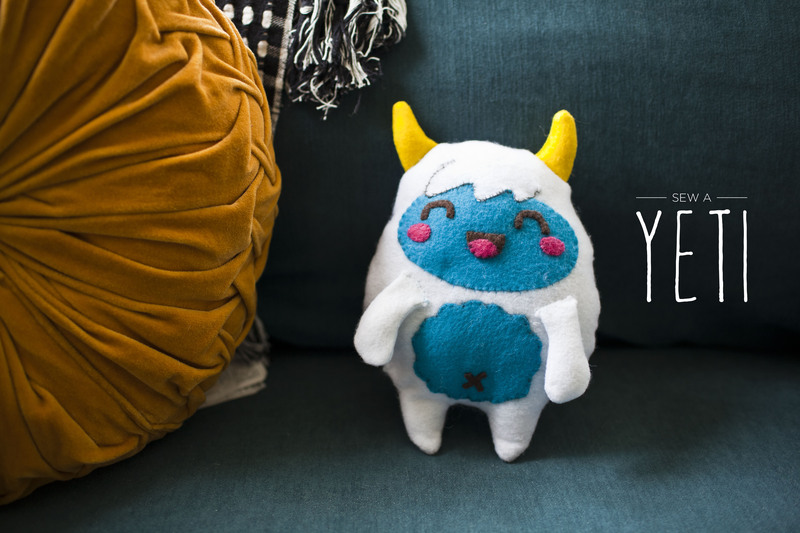 Follow the link above and make your own yeti! I’m always looking for something healthy and satisfying to eat as my mid morning snack. 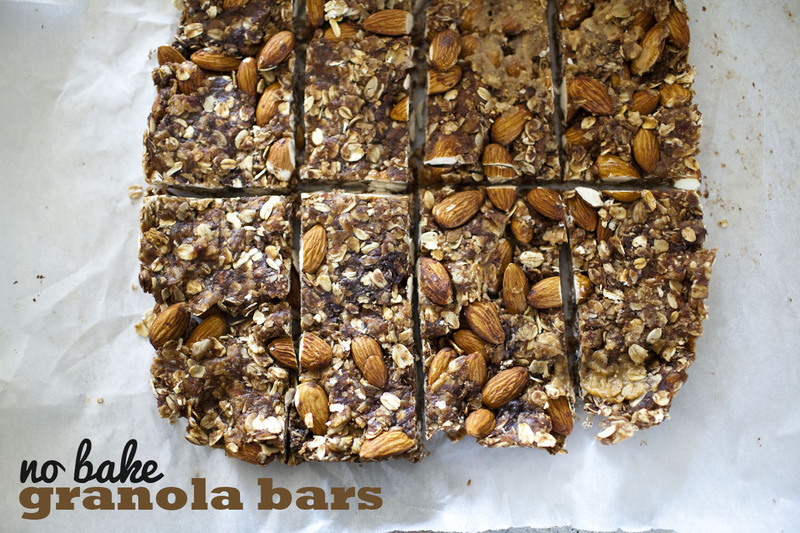 This recipe for these granola bars looked healthy and fairly easy, so I gave them a try. They came together in no time and were delicious! Just what I needed! Process dates in a food processor until small bits remain (about 1 minute). It should form a “dough” like consistency. Once thoroughly mixed, transfer to an 8×8 dish or other small pan lined with plastic wrap or parchment paper so they lift out easily. Joy the baker posted this pie, and my mouth started watering. I needed something to bring to a get-together and I wanted to make something more impressive than cookies, so I thought I would give pie another chance. So I took a stab at veganizing hers. I had intended to make a strawberry rhubarb pie, but i couldnt find any rhubarb at my produce market. So i just doubled the strawberries and it tasted great. The hardest part to me about making pie is the crust. I just never want to deal with making and rolling out a crust. But you know what? it wasnt that bad?! It was actually pretty easy! And a little bit of crust left over, so I made two little tarts with them! In a medium bowl, whisk together flour, sugar, and salt. Add cold, cubed earth balance and, using your fingers, work the butter into the flour mixture. Quickly break the butter down into the flour mixture, some butter pieces will be the size of oat flakes, some will be the size of peas. Create a well in the mixture and pour in the cold almond milk. Use a fork to bring to dough together. Try to moisten all of the flour bits. Add a bit more buttermilk if necessary, but you want to mixture to be shaggy and not outwardly wet. 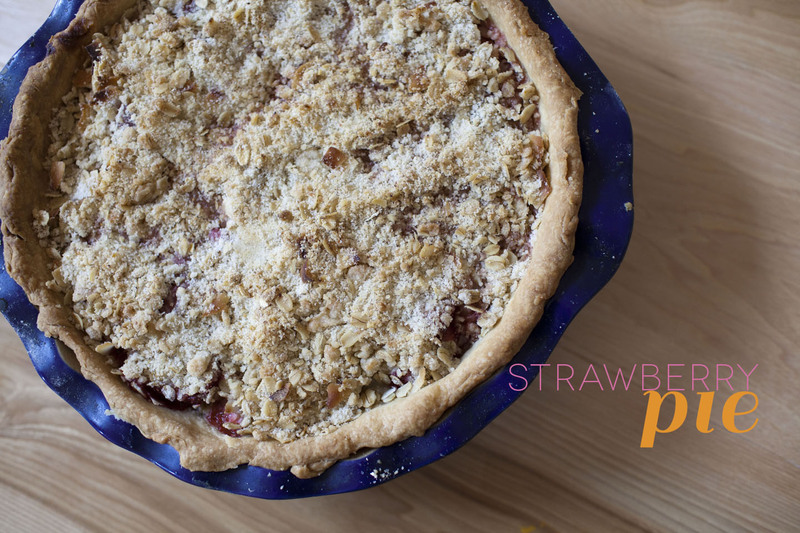 In a medium bowl, toss together rhubarb, strawberries, sugars, cornstarch, salt, and lemon juice. Toss until all of the fruit is covered in a coating of sugar and cornstarch. The cornstarch will disappear and the sugars will begin to make juice with the fruit. 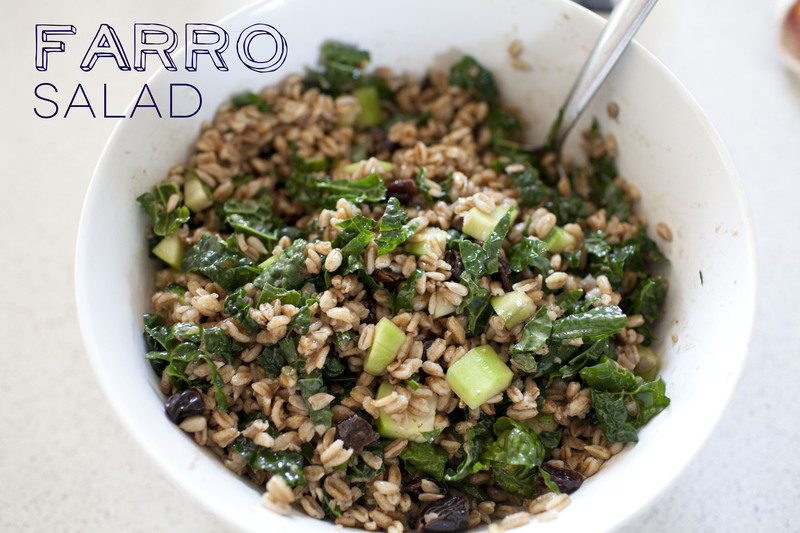 Allow to rest at room temperature while you make the topping. In a medium bowl (yea… we’re using a lot of medium bowls), whisk together flour, oats, sugar, and salt. Add the cold earth balance chunks and, using your fingers, work the butter into the flour mixture. Quickly break the earth balance down into the mixture until well incorporated. Some butter bits will be the size of peas, and smaller. Add the coconut (or pecans if using) and toss to combine. Remove the pie crust from the refrigerator. Toss a handful (about 1/2 cup) of the topping mixture into the fruit mixture, toss. Dump the fruit mixture into the pie crust. Top generously with topping mixture. Place on the prepared baking sheet and place in the oven. It’s important to use the middle rack because if the pie is too close to the top of the oven, the coconut will burn quickly. Bake the pie for 20 minutes at 400 degrees F, then reduce the heat to 350 degrees and bake for another 35 to 45 minutes, or until the pie is juicy, bubbling, and golden brown. Remove from the oven and allow to cool for at least 2 hours before serving. This will help the juices mellow and thicken a bit. Pie is best served just slightly warm with vanilla ice cream. Store covered in the refrigerator.